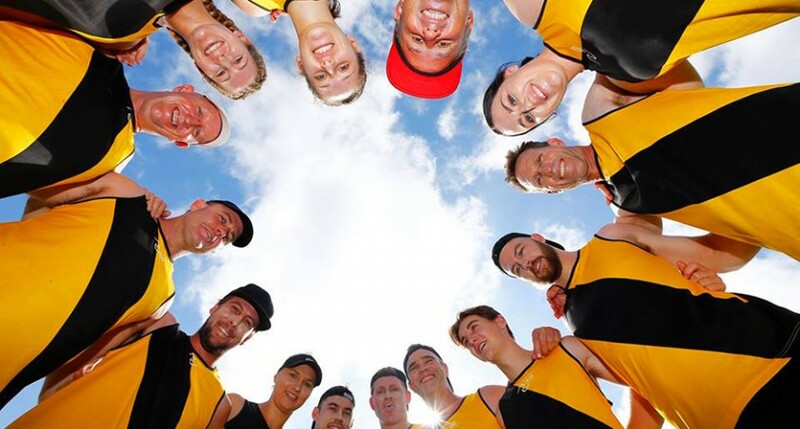 The Byron Bay AFL 9s Invitational wrapped up on Saturday with ­24 teams enjoying the warm weather, music and cold drinks. Team Southern Comfort took out the Masters Max division, taking home the $9000 prize, while the Pittwater Phantoms won the $2000 for the Masters Mellow division and the All State Tigers won a $5000 cash prize for finishing first in the Open Mixed division. The celebrity match was stacked full of AFL legends, including Daniel Merrett, Spida Everitt, Dean Soloman, Lenny Hayes and Mark McVeigh, along with AFLW players Selina Goodman, Jordan Membrey, Nikki Wallace and recent Lions draftee Kalinda Howarth. Throughout the competition, sore bodies took refuge at the Bounce Back Therapies tent for treatment, or just kicked back in deck chairs to watch the action unfold. The Eximm Player’s Lounge was also a big success with live music and plenty of festivities. The event was supported by Eximm and Tribal Sport.